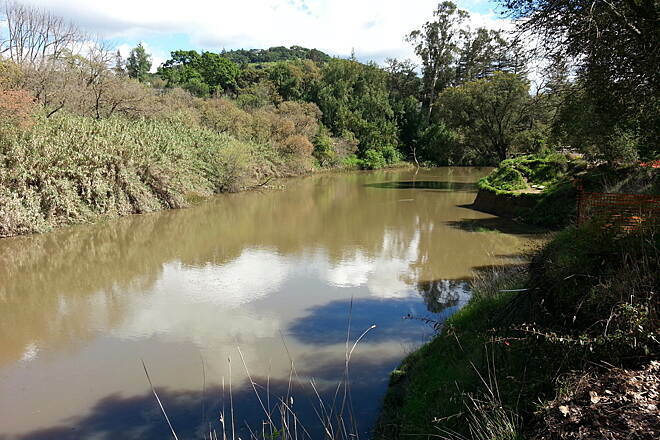 Looking for the best Fishing trails around Healdsburg? 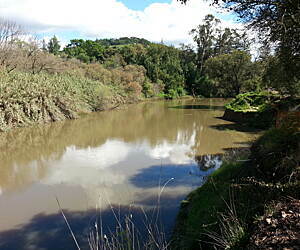 Find the top rated fishing trails in Healdsburg, whether you're looking for an easy short fishing trail or a long fishing trail, you'll find what you're looking for. Click on a fishing trail below to find trail descriptions, trail maps, photos, and reviews. 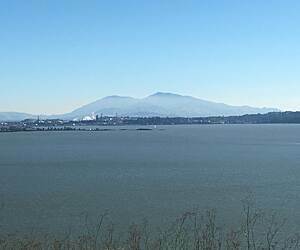 The trail has beginnings at Shafter Bridge, just West of Lagunitas on Sir Francis Drake Blvd . A salmon viewing spot at the bridge has limited 2 hour parking. If parking here, you must cross Sir Francis Drake to the foot, bicycle bridge over the creek. Riding west for about 2 miles on well maintained dirt path, you reach Samuel P. Taylor State Park--no fee to ride through the park, where the path becomes paved. The paved section is about 3 miles long running from the park to Platform Bridge Road, where there is also parking. Beautiful trail--Redwoods, grasslands, oaks and the entire trail runs beside Lagunitas Creek. There is no longer a "dead end" as a bridge has been built across the creek near Shafter Bridge. Enjoy--easy flat ride for all levels. I was in Sebastopol for business and discovered this trail on my morning run. I ended up staying on it for a few miles. It is fairly strait, paved, and flat. There are occasional benches and trash bins and seemed pretty clean. The city had experienced heavy rain a few days before I was there and the trail had some minor flooding in one spot, but I got past it ok. It was pretty. This is a wonderful, flat, easy ride from Santa Rosa to Sebastopol, which also connects in Sebastopol to another ride to Forestville. 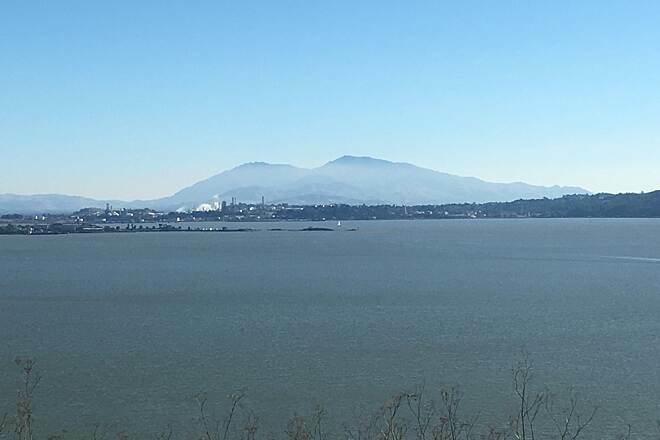 I clocked over 16 miles round trip riding from Sebastopol to Santa Rosa and back, but I did a little sight seeing in Santa Rosa so that added a couple of extra miles. In Santa Rosa there are multiple entry points, and one can also access the Smart Trail from this pathway. A great ride for families with a wide smooth pathway, and not a lot of traffic along the corridor on a weekday. Next time I will start in Santa Rosa and take the path to Forestville, which I am told adds another 7 or 8 miles to the trip (one way). As a cyclist, my friends and I enjoy the ability to use this trail to make a loop ride. Coming from the north west side of Napa, we ride across town and through Kennedy Park on the Vine Trail. Then, when we loop back, instead of turning onto Vallejo St from Socsol Ave to return across town on the Vine Trail, we continue on Soscol and turn right on Lincoln Ave to get to the Napa River Trail. We take this to Trancas St, then turn right and ride to Silverado Trail (1st left). This takes you up-valley. With a few exceptions, the shoulder is between 10-15 feet wide, making it a safe place to ride 2 abreast. There are cross roads every 4-5 miles to allow crossing to Hwy 29 for the return ride. You can choose the cross road to tailor your route to the length you desire. Hwy 29 also has wide shoulders south of Rutherford. Soon, the Vine Trail will provide a Class 1 route from the north side of Yountville back to Napa.